Home Inspiration Who is a blogger? Are bloggers farmers? Successful bloggers are just like a successful farmer and I guess you agreed with that saying! Previously, we likened blog with the making of ice-cream and there is no doubt about it that if you can make an ice-cream successful with the required ingredient, definitely you can blog successful without any limitation. Also the same thing applicable to entire successful bloggers, to become a successful blogger you need to see yourself as a farmer who plants and later harvest what they have planted and that is what make them a successful farmer.Blogger and farmer on this post will be likened to “cocoa and blogger”, just as “blogging and ice-cream” together, just as we did when we discussed literary meaning of a blog in the same cycle. Becoming a successful cocoa farmer take a step-wise procedure, requires consistence, perseverance, endurance, a non-obsessed mind, and farm equipment/implements. A successful cocoa farmer exhibits an attribute of being persevered which is a must even as for a blogger, perseverance is the master key, and under this procedure, it will take three good stages. 1.1 Leather: This is in form of a small nylon polythene bag just like sachet of pure water where soil (sandy) will be packed into leather to the brim or half of the leader. 1.2 sandy Soil: This is the best type of soil for cocoa as it possesses more organic manure than other type of soil such as loamy and clay soil. 1.3 Nursing Space: This depend on the number of cocoa you intend nursing, are you planning for one thousand stands, two thousand stands or more. The numbers of intending nursing cocoa is directly proportional to the space (N ∞ S) and most often nursing take place during dry season (Harmmattan). 1.4 Irrigation: From the knowledge of agricultural science when I was in high school, irrigation is the artificial supply of water to the farm land either manually (watering by hand) or automatic (use of tractor) and most often, it happens during the harmattan where there is no more constant rainfall. The stage one above is just a preparatory or pre-requisites stage after you might have decided to start a cocoa farm. 2.1 Clearing of the plantation site: You can either clear the site before or during nursing depending on the nature of the forest but preferably, clear the site before time looks professional. 2.2 Transplanting: This involves the act of transferring the nursed cocoa seed (now plant) to the permanent site after the period of 4 – 5 month depending on the whether condition of the region. STAGE 3: This is the most critical stage and consciousness must fully be taken so that you will not labor lost. 3.1 Maintenance: At this juncture, probably after 2-3 years the next thing is proper maintenance ranging from spraying, cutting of parasite, removing the spoil pod caused by black pod and at this juncture you can be regarded as a cocoa farmer after a series of trials and difficulties during the period of almost 3 years or more. All these are what are needed to own a cocoa farm, then let relate it to bloggers. 1.1 Leather: This is where your sub-conscious mind lies, while thinking about a successful blogger or reading about their achievement, definitely something interesting about what you read prompt you to start a blog, which is your sub-conscious mind that encompasses all the steps needed to set up a blog. 1.2 Sandy soil: This can be compared to the best blogging platform which you intend starting your blog with for great design, good theme, platform with SEO friendly themes, and probably some coding experience or the use of premium plugins as the case may be. 1.3 Nursing space: This just like your hosting company. The number of year you can afford to pay at a particular time depend solely on the number of years you are planning to hosting your blog with their company, so also is your domain name registration. 1.4 Irrigation: If you want to keep blogging after a period of time, there is a need to keep renewing your hosting service as well as your domain name. 2.1 Clearing of the plantation site: Editing your site to suit your need most especially when you make use of premium theme and plugins that you have total control over to make your blog design look mature and give your blog a new look in order to make it search engine friendly. 2.2 Transplanting: This has to do with launching your website with the entire requirement which has been keenly put in place most especially a reliable hosting company to hosting your website and domain. 2.3 Weeding: Consciousness must be taken at this stage in order to fighting against blog backlinks parasites which Google called algorithms such as panda, penguin 2.1, and the current hummingbird. STAGE 3: This is the most critical stage as earlier said and this is where blogger have a lot to do and it’s a journey of no return when you get to this extreme. 3.1 Maintenance: Maintaining a blog is a life time assignment, unless you decide to quit and quitter never will you win again. 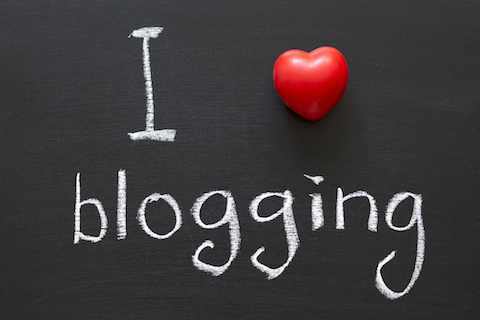 Maintaining your blog take various aspect such as building quality traffic most especially from search engine, backlinks from a reputable sites for quality improvement in PageRank and Domain Authority. Publishing unique content always, exposure and building quality relationship in blog-o-sphere is bases of blogging success. I vastly believe that you understand the message, all what am talking is not but “Perseverance” The only set of people that perseveres most are the farmers, they will have to wait for months, even years before they start reaping what they have sown and their attributes are peculiar to bloggers. Hardly will a blogger started earning four digits US dollar constantly the very first twenty four month of his / her blogging career monthly but with endurance and perseverance, s/ he can earn more than. Good comparison! Bloggers definitely exercise their duties like farmers. Looking at the bigger picture, persistence, perseverance, and preservation, are vital skills and attitudes both require and exercise. Bloggers also need to learn the lessons of patience from farmers! The 4P’s are what bloggers need in other to succeed in blogging world just as farmer sees them as their attributes! Really Nice information Thanks For Sharing. You are right the bloggers are like farmers they have to follow all the stages that you have just discussed above. Glad to have you back on adetechblog dot com mate, and do have a lovely blogging career! This time, its about farming! Guess what? I loved it too! I liked the lines you said in the maintenance section- ‘it is a life-time assignment’! Wow, that line says it all! I will liken blogging to the growing of bamboo. It takes several years before it sprouts out and during all these years, it will be building its roots. Blogging takes a lot of perseverance as you have rightly stated. That is a very nice shot-out mate, it takes time for Bamboo to truly boom but once boomed, it’s over and it’ll continue to shine and be glittering always. Thanks for your totally different article for the blogger. It’s very interesting as well as entertaining. Hope to see you soon with some new idea. The first day i read your blog, that was when i knew you are a genius. When men of substance write blog post; it’s always different. Good post you’ve gotten here and i’m going to buzz it all over. You are very right when you compared bloggers with farmers. we undergo the same process: Perseverance, patience, persistence. These are the P’s of success, and there is no secret about it. Have a wonderful day. I think your point of view is really interesting and that’s totally different from the others. Bloggers those days have to try their best, think about new ideas like you to get successful harvest season. You contribution is really awesome, do have a lovely day ahead. Your comparison of starting a farm and a blog are perfect! You see, when you are serious about your blog, you simply have to understand the basics – what are the prerequisite of having and running a successful blog? Thanks for the analogy – and answer. A very happy new year is my wish for you! The simplicity of having a blog is what many don’t really understood, although everybody is a professional in one way or the other but knowing that bloggers need to work with 3p’s (Perseverance, patience, persistence ) of blogging success is a must known. Very good post with some fresh ideas in the post. I enjoyed reading this post and hope for such posts in future. This was a really good comparison you made here. The comparison to a farmer is right on target as you need to take care of the seeds you sow before you can harvest the benefits. You are right mate,and that is what being successful is all about. Farmers reap what they sow and obviously it takes months to and a couple of weeks depending on what seed they reap. They need patience and LOVE of course to produce a well grown crop. There is a similarity between a blogger and a farmer. Bloggers need patience and love during their hard work to make their subscribers, customers and money grow. This was a really good comparison you made here.